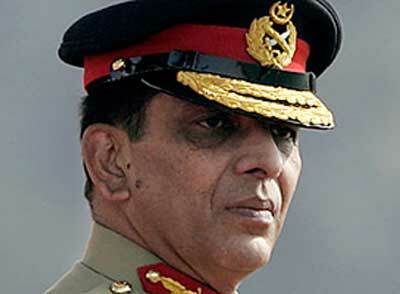 In a powerful signal of the extent to which bilateral ties have plummeted in recent times, the office of the Chief of Army Staff, General Ashfaq Parvez Kayani, has politely turned down a request for a meeting by visiting US assistant defence secretary, Peter Lavoy. “Yes, it is correct that a meeting was requested but the General Headquarters declined. We are not aware if Peter Lavoy was given any reasons,” Pakistani officials told The News. US officials in Washington also confirmed the same. “There are several reasons for turning down Lavoy. It is to tell the Americans that you cannot be bad-mouthing us day in and day out and then expect a meeting with Pakistan’s most powerful personality. You cannot trash our sovereignty, threaten us, announce intensified drone attacks, kill our soldiers, refuse to apologise when you do the same in Kabul, hold back our money (CSF), threaten to cut off all aid and then pretend that it is business as usual,” is how one official put it. The News spoke to officials involved in working out the ‘package deal’ with the US and it appears that there are clear instructions that more important than the pricing of the Nato containers is the US apology. “We would be willing to forgo charges in return for assurances on our sovereignty and offer of an apology. It means more than the money, we are more concerned about our dignity and honour. If we get assurances that our sovereignty will not be violated and our dignity will be respected, we will not bother about the money part. Price of containers is not an important issue,” said one official. He said that Lavoy has been told that without an apology it would not be possible to move forward on opening up the Ground Lines of Communications, (GLOCs). “One cannot predict the outcome of our discussions. The process remains unpredictable. The apology remains the key to preserve our dignity. In the absence of same it has been difficult to move forward,” the official added. Sources in Washington and Islamabad say that for the time being efforts are underway to ensure that an acceptable apology is delivered one way or the other to Pakistan. “There appears to be a slim chance that an acceptable apology will surface. Neither side is ready to accept the language the interlocutors are working on and time is running out. GHQ has to understand that a ready apology was pushed aside and now too many issues have overtaken the apology. US aid is being threatened to be completely cut off because of Shakeel Afridi’s arrest. One side has to step back and it appears no one is ready to do so,’ explained one diplomat. The News also learnt Sunday that the establishment is also demanding nothing less than a US apology for the Salala killings and says that the ‘apology’ and not the ‘pricing’ of Nato containers is imperative for Pakistan. “No apology, no package deal,” is the message being sent to Lavoy. Lavoy is still in town and Sunday evening was to be spent at the US embassy for informal discussions. The government is withholding commenting on the meetings that Lavoy has held so far, except an important one with finance minister Abdul Hafeez Sheikh on Saturday.Not too long ago, Pakistan also asked US ambassador for Afghanistan and Pakistan Marc Grossman not to come to Pakistan. Kayani’s office has been quite generous in the past in accomodating visiting dignitaries, especially Americans. In fact there had been criticism that protocol has not been strictly followed and officials of lower ranks also found their way into the COAS’ office. Less than twenty four hours ago Lavoy’s boss defense secretary Leon Panetta accused Pakistan’s military of giving safe havens to Afghan ‘terrorists’, threatened that the US would, if necessary, take action inside North Waziristan to take out the Haqqani network and publicly declared that the US was at war in Pakistan’s Federally Administered Tribal Areas (Fata). “Without getting into the details of what we may or may not do, I think it suffices to say that the United States will do whatever it has to do to protect its forces,” threatened Panetta in a television interview. As US rhetoric reaches a new high, it is understandable why Lavoy could not partake of a cup of coffee with Kayani.Meanwhile, the Pakistan military’s insistence that the US should apologise for intruding into Pakistan’s airspace on November 26, 2011 and killing and wounding its soldiers, is once again on the top of the agenda of all bilateral discussions. However, there also appears to be some confusion about how ‘vital’ this US apology has become. For months now, the focus of deliberations has centered around a package deal which included fixing an agreed price for each Nato container passing through Pakistan, Coalition Support Funds payment to Pakistan, iron-clad guarantees that Salala-like attacks will not repeated, all agreements would be put on paper and a US apology would be delivered. The US apology was not being highlighted until recently when foreign minister Hina Rabbani Khar, in an interview in Doha to Foreign Policy magazine, challenged the Obama administration to live up to America’s democratic ideals by respecting the will of Pakistan’s elected legislature. “A representative Parliament of 180 million people has spoken on one subject. [This is] something which should have been forthcoming the day this incident happened, and what a partnership not only demands, but requires,” she said. This entry was posted in News and tagged Army, Gen Kayani, General Kayani, Kayani, Pak Army, Pakistan, Pakistan Army, Pakistan news, US. Bookmark the permalink.